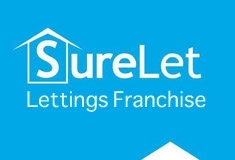 A specialist residential property mananagement company dedicated to relieving franchise owners from the hassle and paperwork normally associated with the traditional lettings business. Mobile and shop-based opportunities are available. Enthusiastic, committed, outgoing personality, ideally with some sales experience and good administrative ability. No previous experience in the property lettings industry is necessary as this will be taught. Fully comprehensive two weeks training course including classroom and field-based assignments. 24/7 Help Desk, field-based Franchise Development Support Team, bespoke software, national and local advertising and PR, online promotion and quarterly franchise conventions. Areas of Priority Development: Most major cities and towns. Breakdown of Package: Training, launch, marketing materials, business stationery, first year’s indemnity insurance, etc.